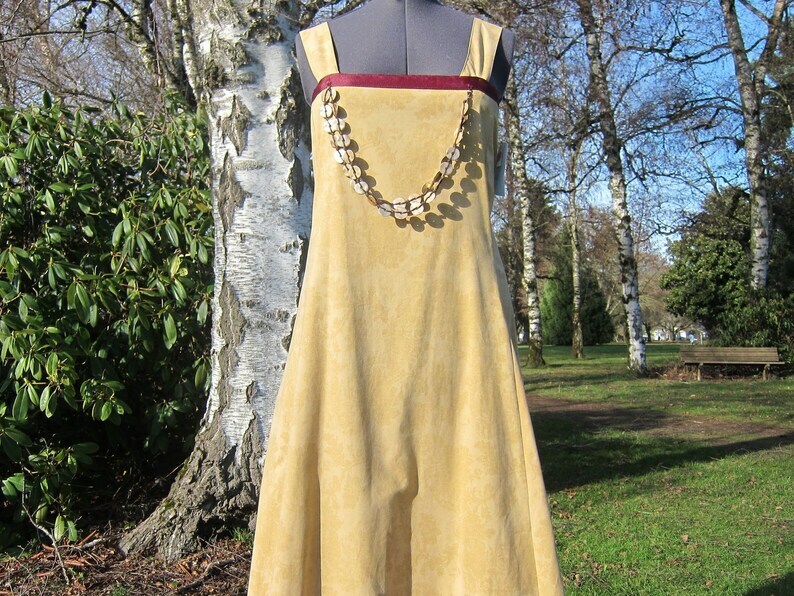 This apron dress is made with a lightweight cotton that is breathable on warmer days. 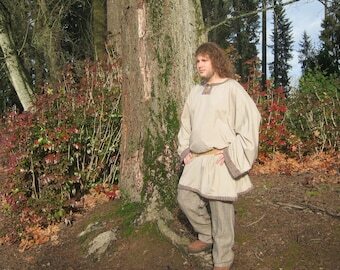 It is period appropriate for the 9th and 10th centuries in the Viking era. On cooler days it can be worn with a lightweight or lined cloak for warmth and still maintain period authenticity. 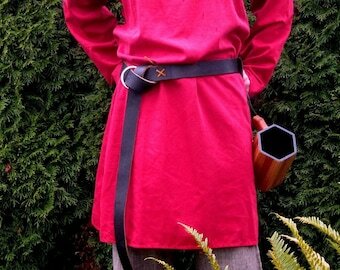 This is a great piece to wear for medieval or period festivals. 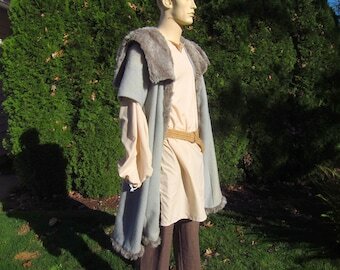 It can also be worn as commoner or townspeople garb at a Renaissance faire. Distressed hem to imply long use. Double gold tone token brooch chain accent. Gores add fullness to the dress below the waist. Note: Tortoise Brooches and under dress NOT included. The dress is pictured over a period appropriate under dress in some of the pictures.